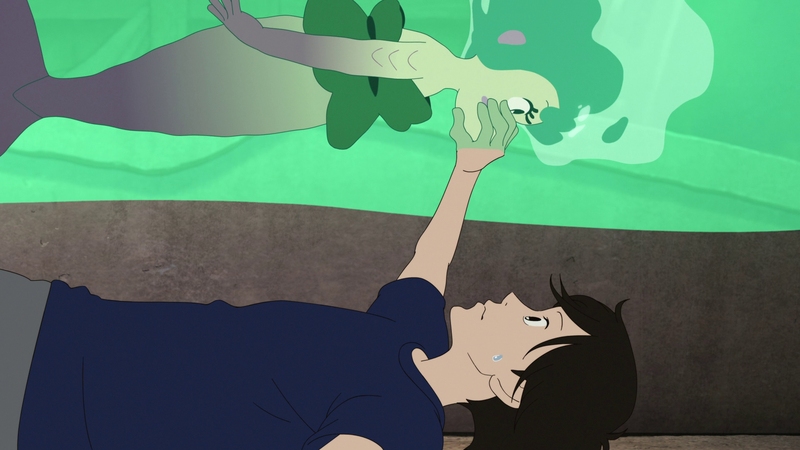 Visionary anime director Masaaki Yuasa (Mind Game) embraces more accessible characters and conventional storytelling for Lu Over The Wall. 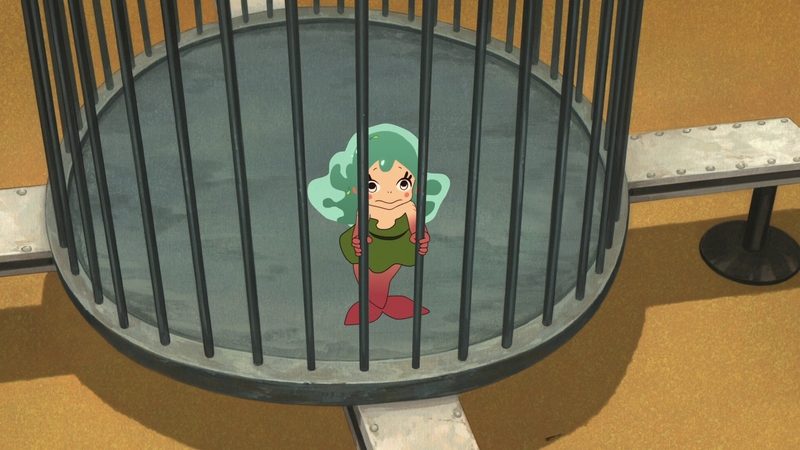 Retaining some of Yuasa’s distinctive flair and visual creativity, the award-winning Lu Over The Wall leans heavily on animated classics like Ponyo and The Little Mermaid for inspiration. The scattered Japanese movie never quite knows what audience to go after but it’s fine family entertainment with appeal to a wide range of ages. An introverted and sullen teenager named Kai is a gifted musical producer that likes sharing his music anonymously on the Japanese equivalent to YouTube. He lives in a small fishing village but yearns to return to the city. Local legend has it that merfolk used to visit there but no one has seen them in ages. Kai’s life changes when he meets up with two classmates on the forbidden Merfolk Island for a band rehearsal. 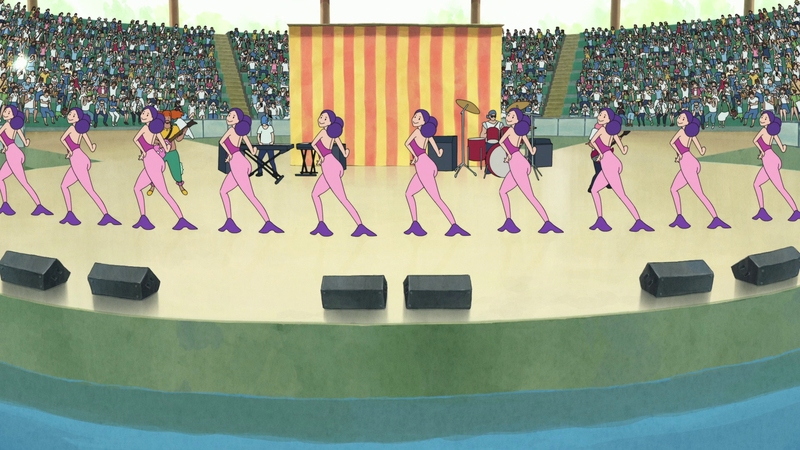 A happy-go-lucky mermaid named Lu shows up and sings along with the band, gaining feet whenever music nearby is playing. Soon Kai and his band will become instant celebrities when video of Lu is uploaded to YouTube. Kai only wants to become Lu’s friend, but sees others wanting to exploit Lu for their own selfish reasons. Locals fear the supposedly dangerous merfolk. A singing and dancing adventure for the whole family, Lu Over The Wall approaches its fairy tale with a thoughtful nod towards the demands of modern life. The morose Kai is an unhappy teenager despite being a creative and talented musician. He’s not the plucky protagonist we so often get in these types of movies. 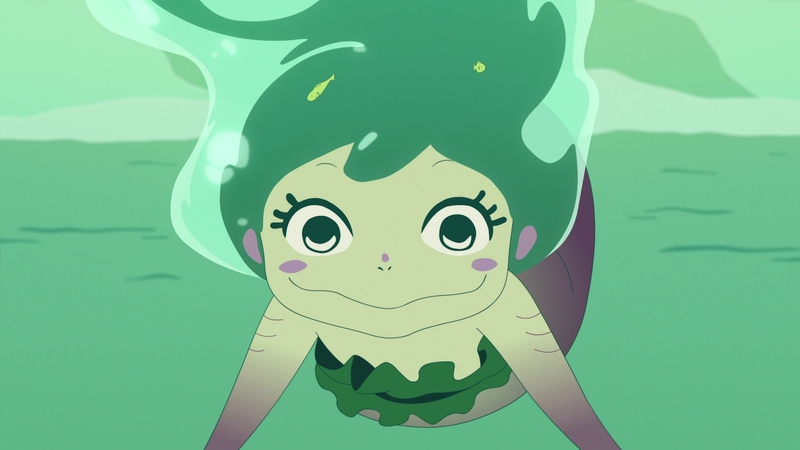 Lu is an adorable, child-like character patterned after Ponyo that loves to sing and dance. She’s a great, fun character that both adults and children will love. However, she almost feels out of place in the decidedly more mature narrative supposedly aimed at teenagers. 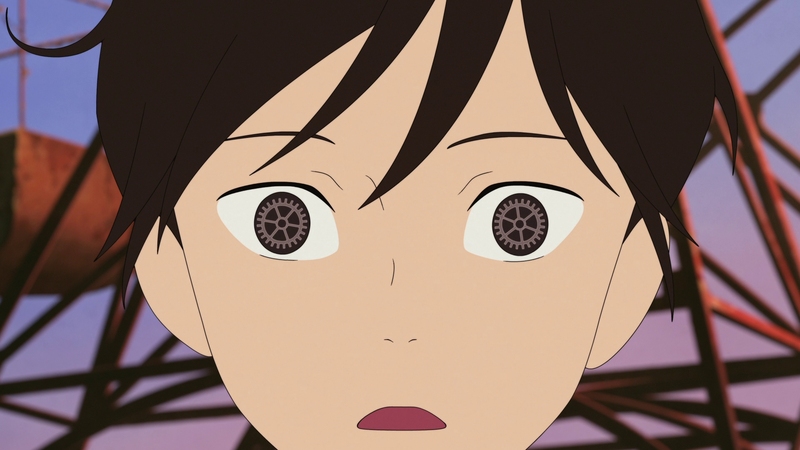 It’s like Yuasa had two different movies in mind and mashed them up together. The movie is still entertaining but the final act long overstays its welcome. 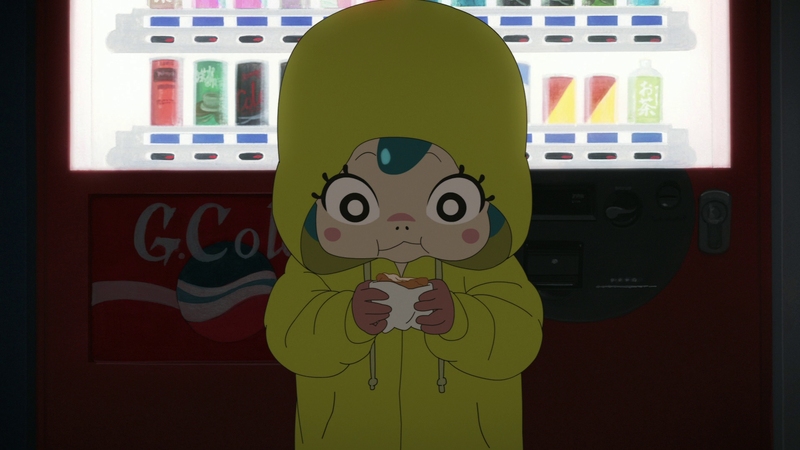 Lu Over The Wall is easily the most accessible anime movie yet from Masaaki Yuasa and shows a growing maturity in his distinctive work. It’s a joyous family tale with a cute little mermaid at its core. 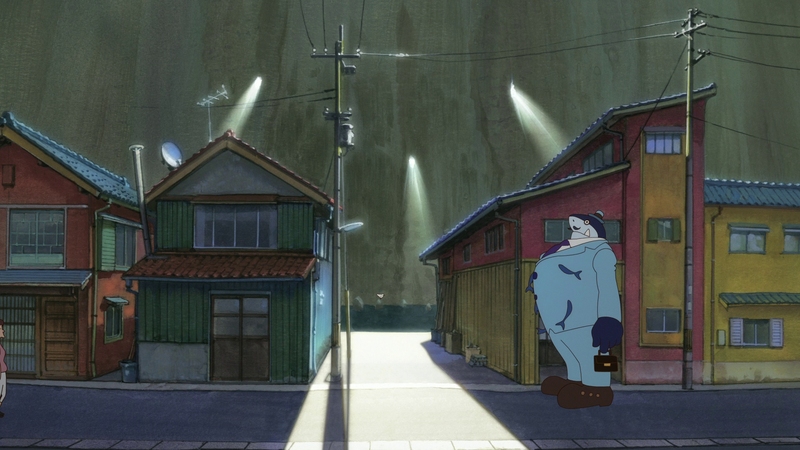 Yuasa has always been a visually-driven director and Lu Over The Wall showcases his unique approach to animation. 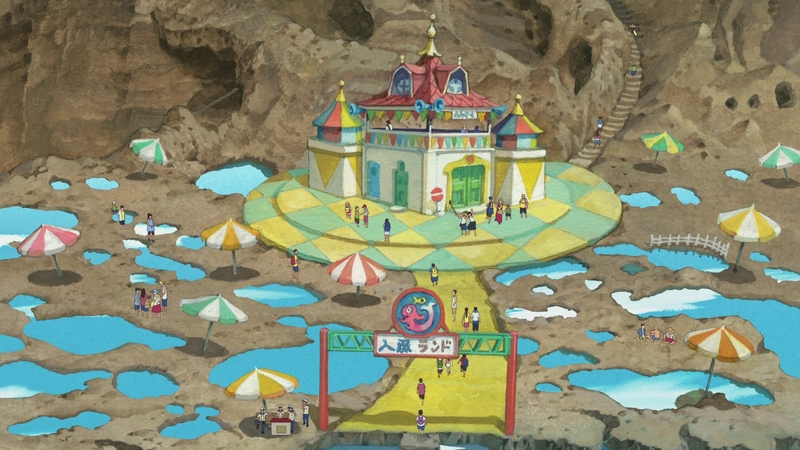 It has a bright, lively color palette with fairly pedestrian character designs for modern anime. 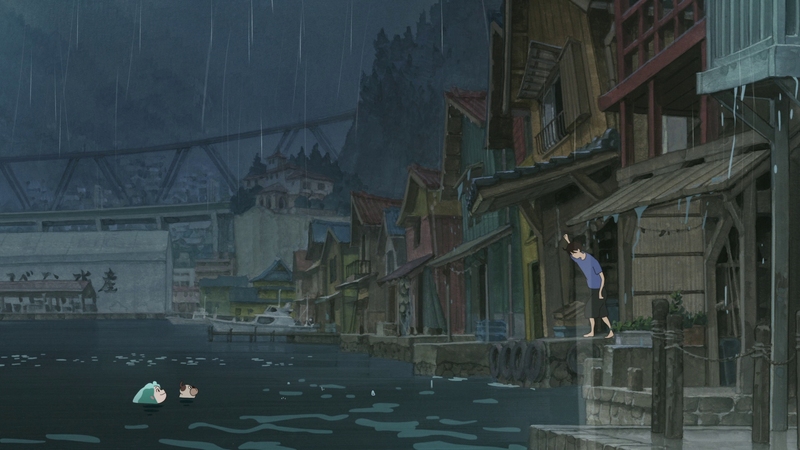 The adorable Lu heavily resembles another iconic anime character, Studio Ghibli’s Ponyo, even down to Lu’s idiosyncratic movements in water. Lu Over The Wall has that sparkling clarity and bold definition common to most newer anime productions. It’s a real knock-out on Blu-ray at 1080P resolution. This isn’t the most sophisticated traditional animation to hit in recent years but the colorful styles certainly shine on screen. The Blu-ray transfer is immaculate without any banding. The flawless AVC encode averages a stout 30 Mbps, smoothly handling the deeper color gradients and saturated primary colors. The 1.78:1 presentation captures the vivid animation’s fluid motion in full detail. 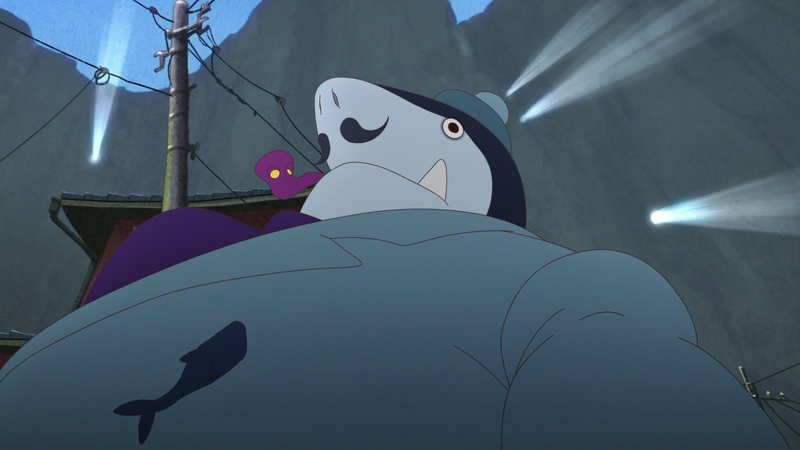 Japanese singing plays a part in the movie’s entertainment, so any English dub was going to be problematic for the Japanese-made Lu Over The Wall. 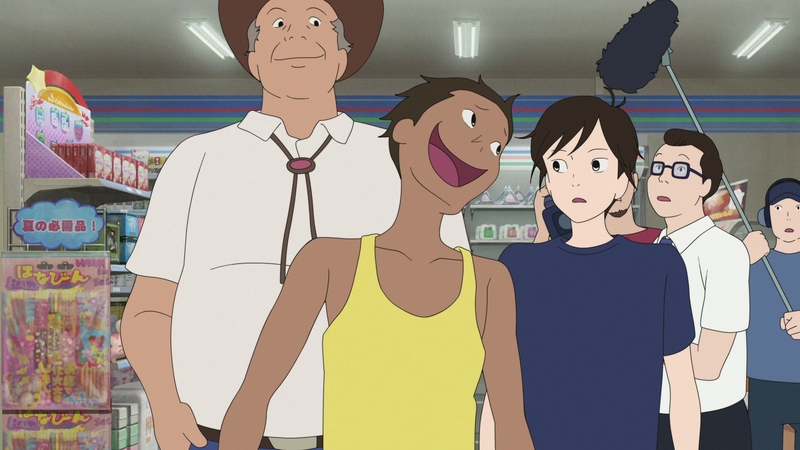 GKIDS provides English and Japanese soundtracks in equal 5.1 DTS-HD MA fidelity. This is one case where the English dub just doesn’t feel right for an anime, despite it being serviceable in terms of voice performances. The surround mixes are largely confined to the front soundstage except for a few splashy scenes. Mastered with enormous dynamic range, dialogue is mixed low in volume. That leads to more active scenes with overpowering and even uncomfortable energy on a reference system. 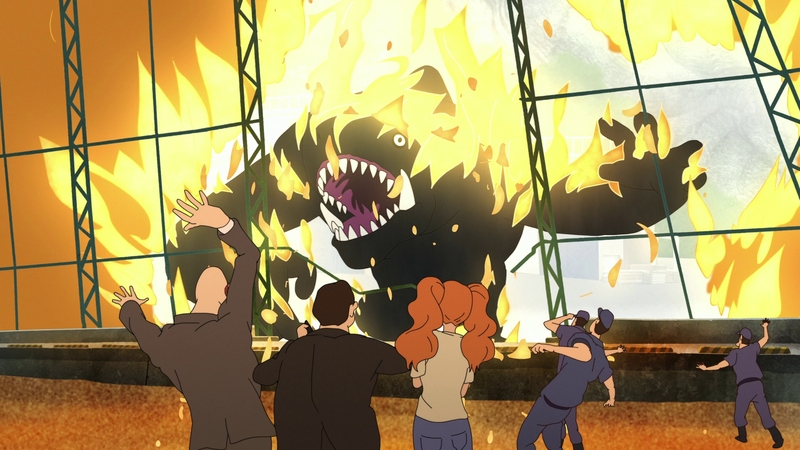 The sound design is fairly limited by the standards of theatrical animation. Panning and some discrete separation offers decent audio clarity. A French dub is also included in 5.1 Dolby Digital. Two different English subtitles are provided – English SDH for the English-language soundtrack, and a more direct English translation for the Japanese audio. French subtitles are an option as well. They appear in a white font. Distributed by Shout Factory for GKIDS, Lu Over The Wall receives a couple of very significant and interesting bonus features. The Blu-ray and DVD set is available with a glossy slipcover. 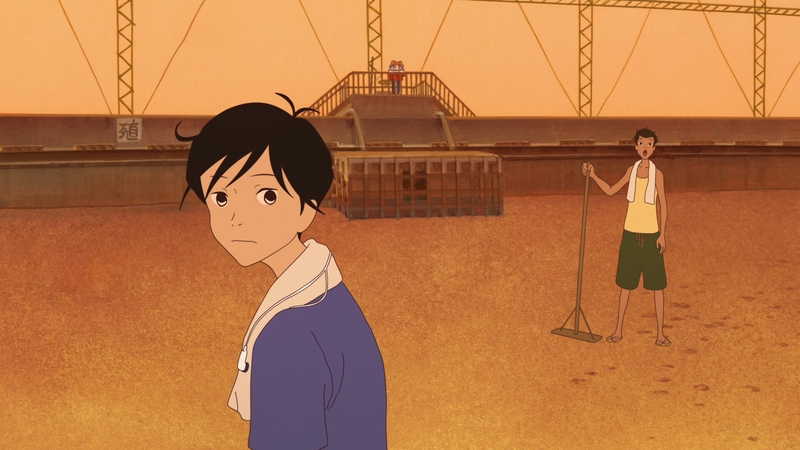 Interview with Director Masaaki Yuasa (28:16 in HD) – Filmed for Japanese television, director Masaaki Yuasa discusses his working process with the animators and his thoughts making the anime movie. Aiming for a more conventional plot and characters, he explains how he brought his creativity to the project in other ways. Voice acting, character selection, many topics are discussed in this far-ranging interview. The interview is in Japanese with English subtitles. 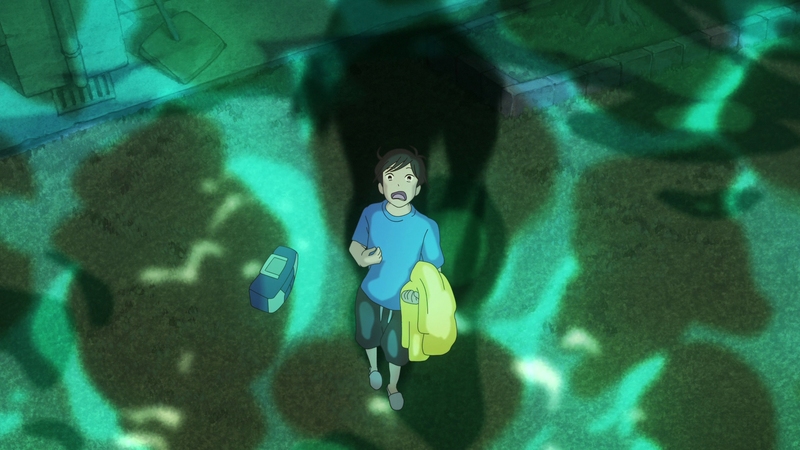 Japanese Audio Commentary with Director Masaaki Yuasa – Hosted by Mr. Fujitsu, Masaaki Yuasa dives deep into his anime for an engaging discussion about animation and the various themes. The conversation flows decently but feels fairly formal. Made in Japanese, English subtitles are provided for translation. Trailers & TV Spots (04:41 in HD) – A variety of content for both Japanese and American audiences. 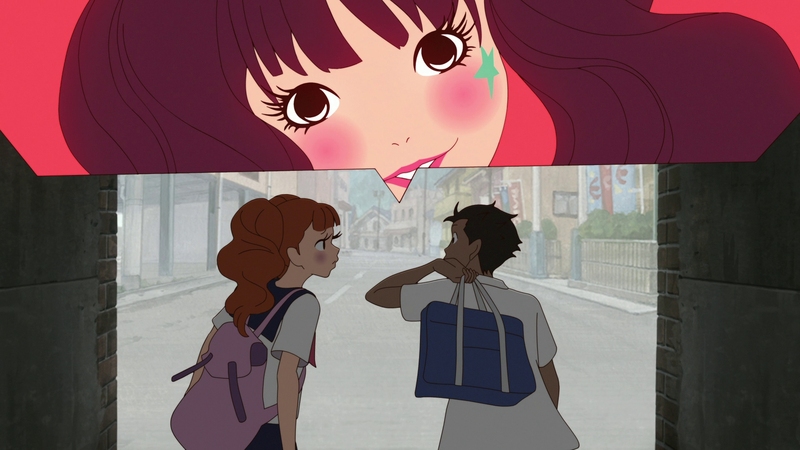 Anime auteur Masaaki Yuasa’s coming-of-age tale about a town and mermaid coming together in song and dance is uneven but fun for all ages. The 15 unaltered images below are taken from the Blu-ray itself. For an additional 24 Yu Over The Wall screenshots in full 1080P resolution, early access to all screens (plus the 20,000+ already in our library), 75+ exclusive 4K UHD reviews, and more perks, support us on Patreon.